Gift your friend or your beloved brother for their special culinary skills with this unique gift item. 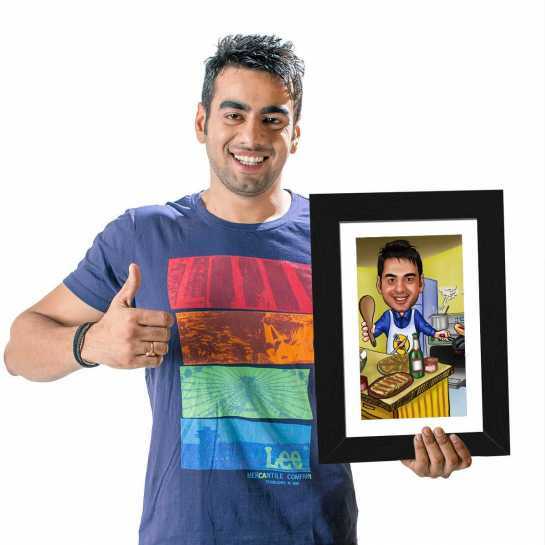 This caricature photo frame has an innovative look and gives the chef a funny but inspiring illustration. You can see this guy is enjoying cooking in the kitchen. He looks fully passionate in the kitchen dress and the dishes on the desk are the proof of this. Also, he is cooking a delicious hot dog for his friend or family. Overall, it shows up the happiness of a person who loves to cook foods. Do you have a friend or brother whose hobby is cooking? 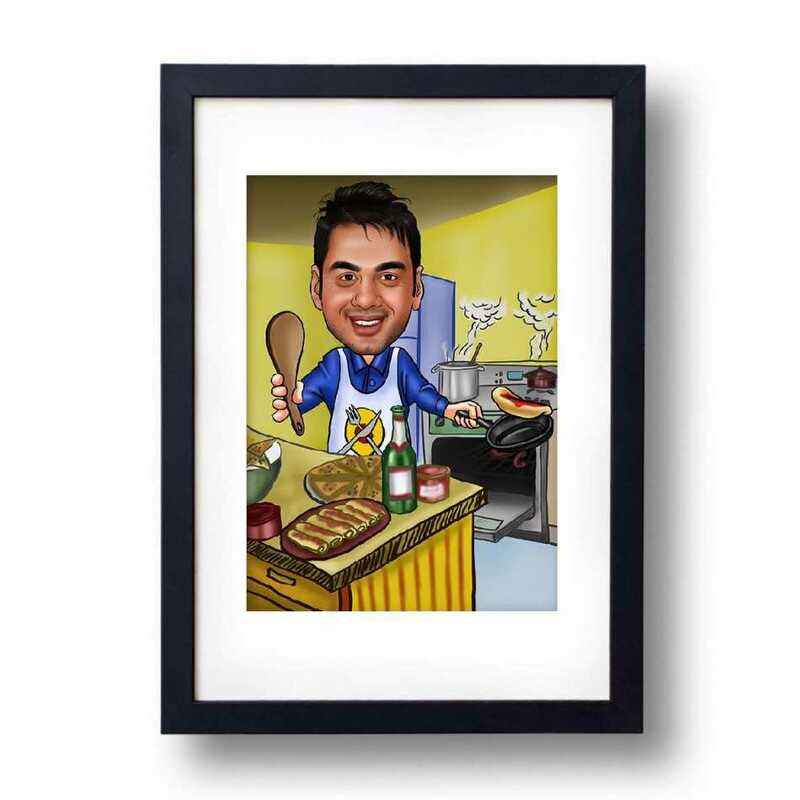 If yes, then you should gift this chef caricature and tell him you are enjoying eating his delicious foods. It will give them something to remember for a long time. This caricature specially made for the people who want to gift something unique to their loved ones. 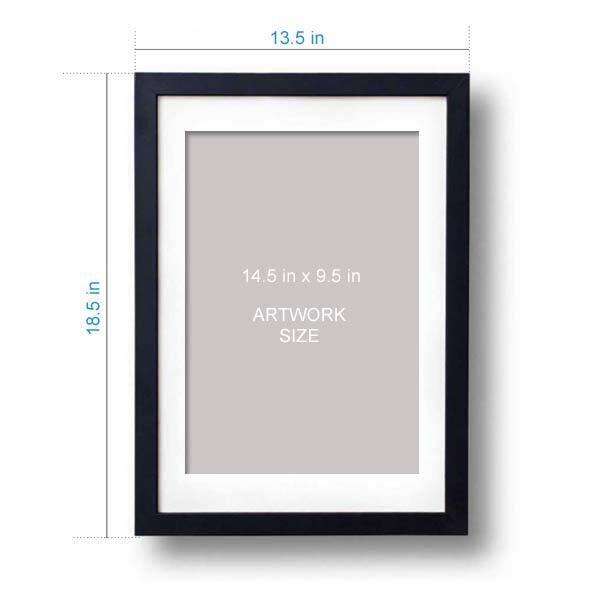 Moreover, if your husband always stays ready to help you with a big smile, then it is best to surprise him with this photo frame on his birthday. It will be a great moment of your life for sure.